Stay up-to-date on all the latest news and information on upcoming events and more! 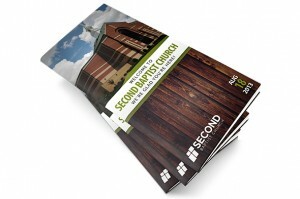 Life Groups are for everyone at Second Baptist Church. 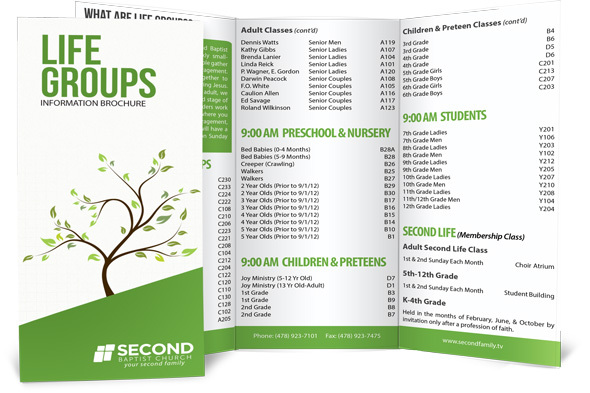 From the very youngest to the mature adult, we have classes for every age-group and stage of life. 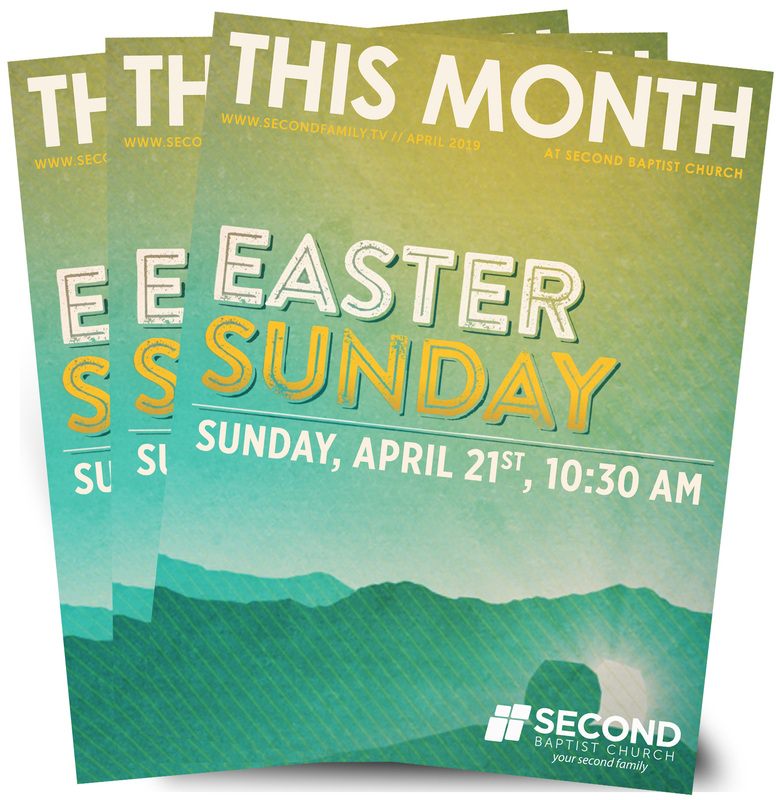 Our monthly magazine informs you of everything we have going on through our church each month. 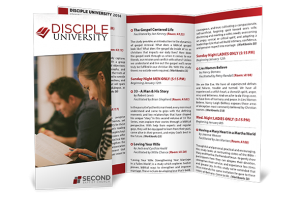 Disciple University offers classes on these and many more topics throughout the year. Each Semester provides multiple study opportunities for individuals and couples. 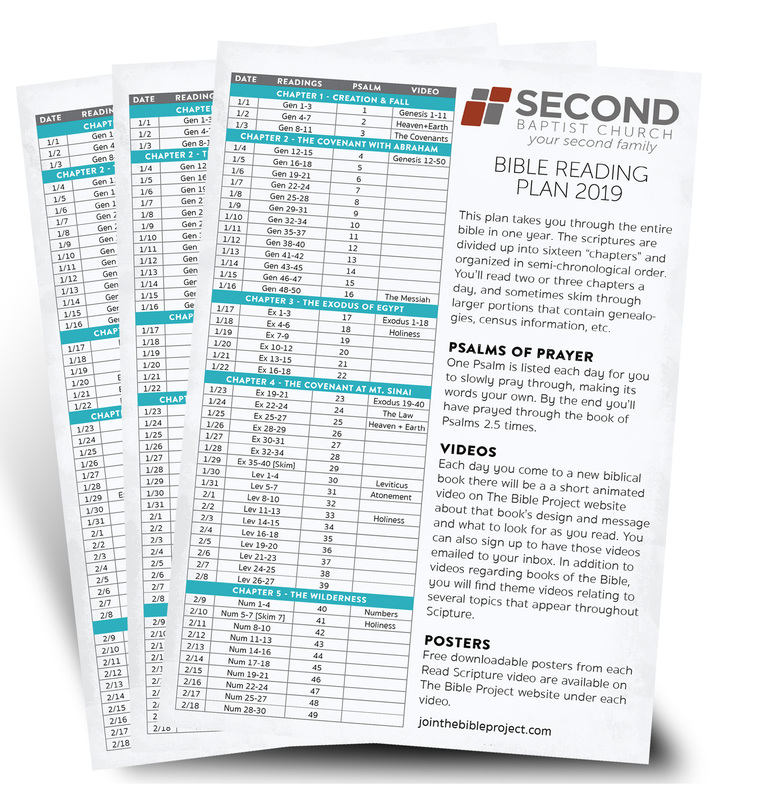 Being a good steward of what God has given us at Second starts with a plan. We want to encourage you to spend time in the Word this year. 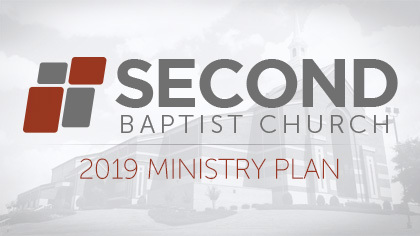 Download our Bible Reading Plan for 2019 and read through the Bible with us!